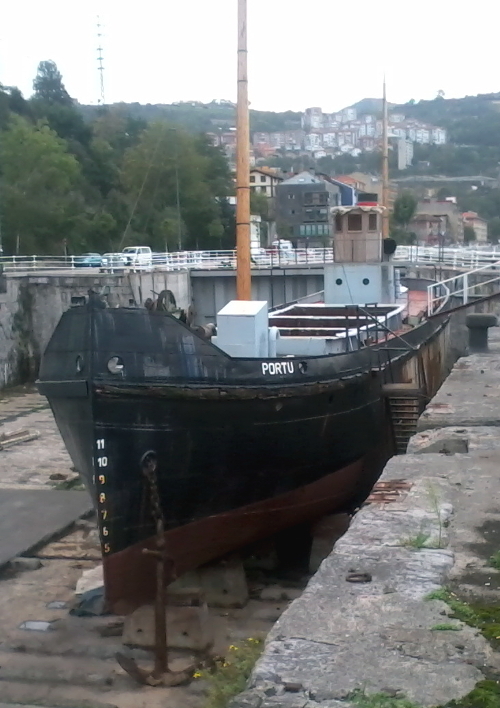 At Museo Marítimo de Bilbao, former Euskalduna drydock, with her original name and funnel colours. 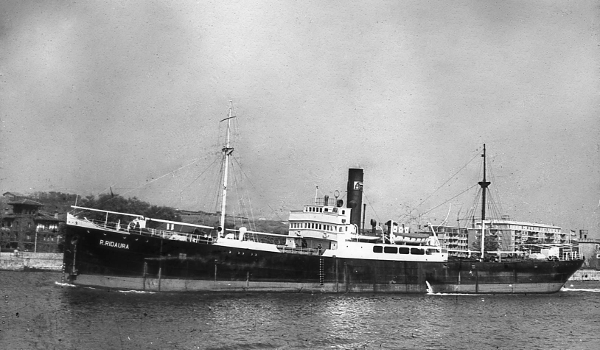 Original owner Wildcroft Steamship Co. Ltd.
Virgen del Mar Fue construido como velero, cambiando varias veces el tipo de velamen. 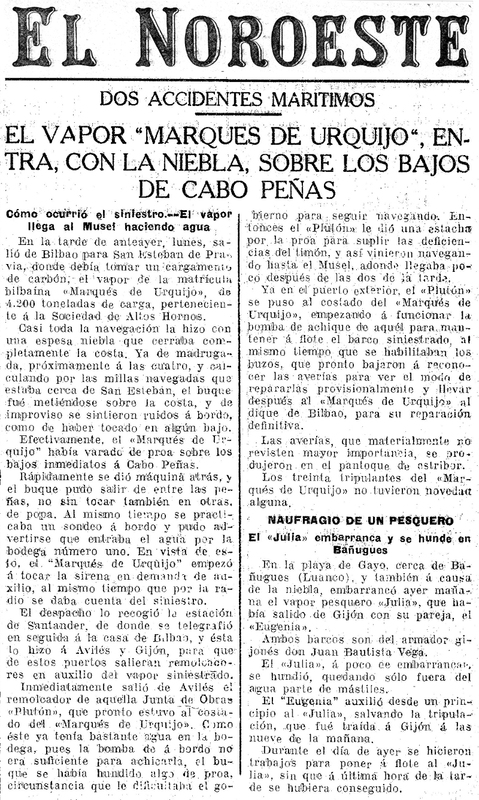 Durante su larga vida fue convertido en gabarra y reconvertido en velero, hasta ser definitivamente convertido en gabarra en 1923. 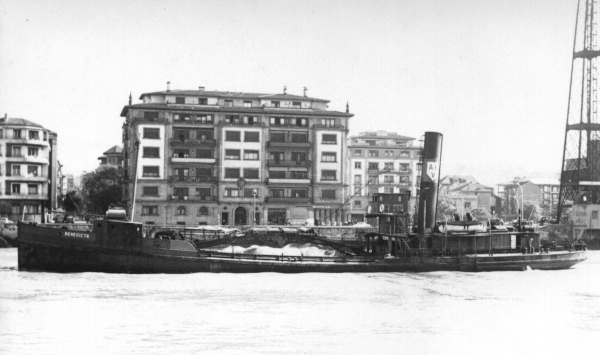 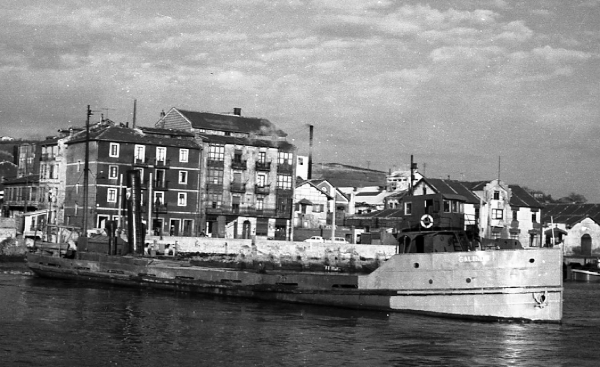 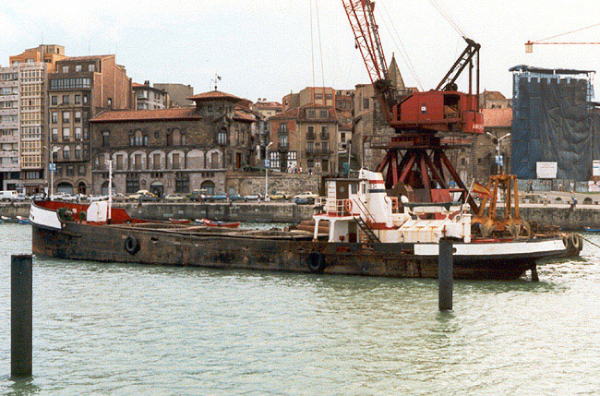 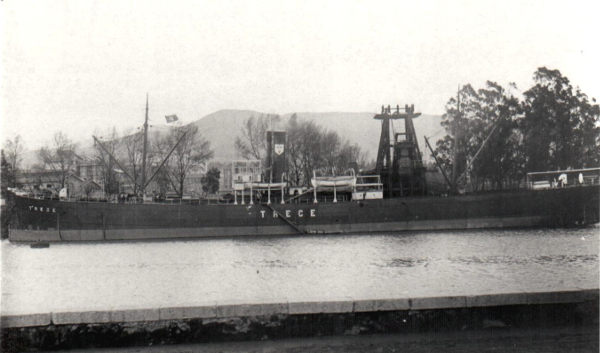 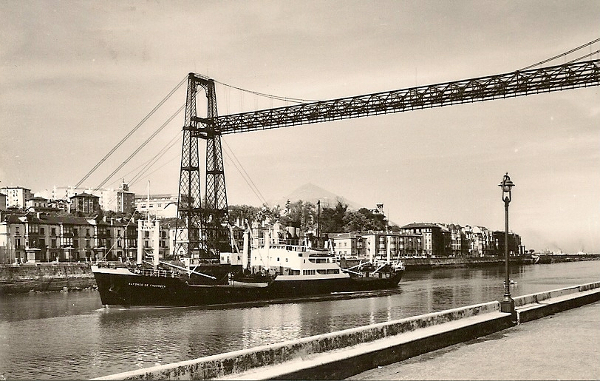 Owner Compañía Naviera Mioño, S.A.
On this photo, at Sestao berths, she was already barge. 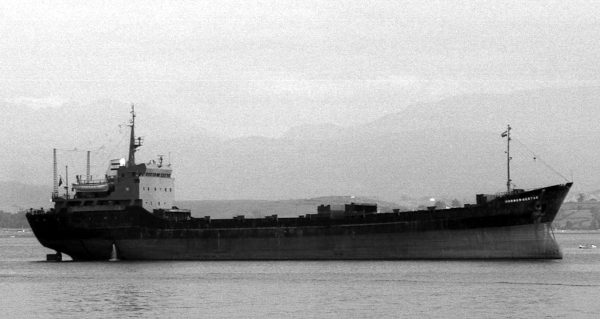 At Dársena La Benedicta (Sestao), waiting for scrapping together with other ships. 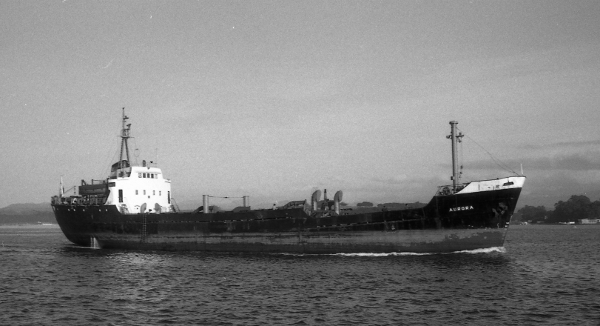 The third by her portside was the Liberian tanker Venture. 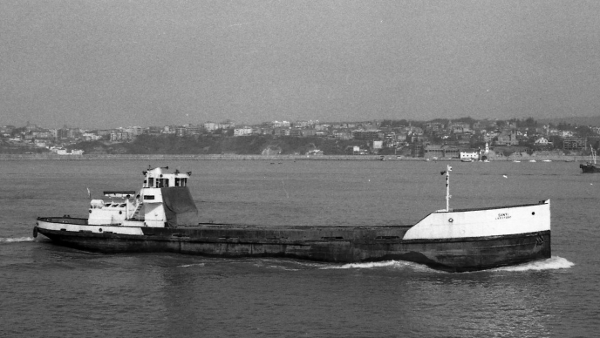 The big difference in her look depending in ballast or fully loaded. 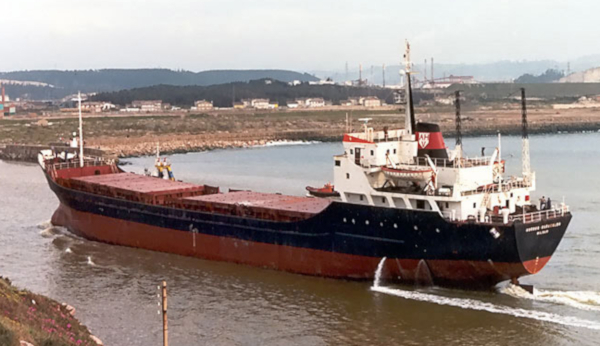 Usually she was loading at Astillero. 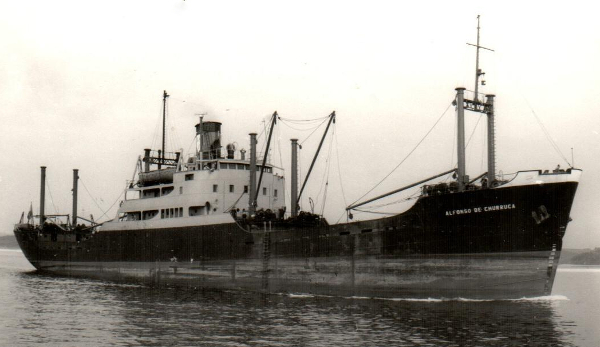 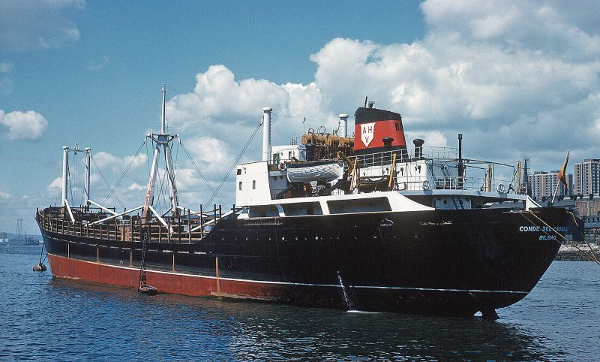 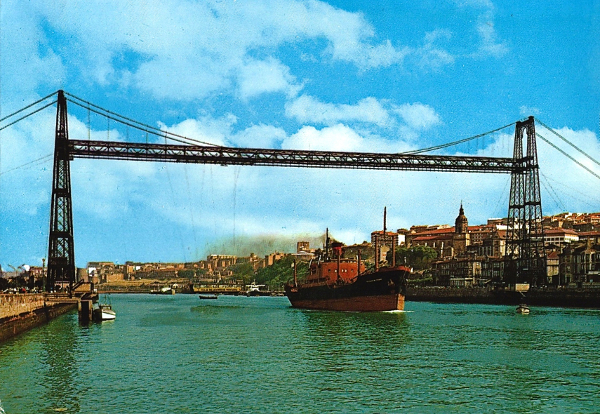 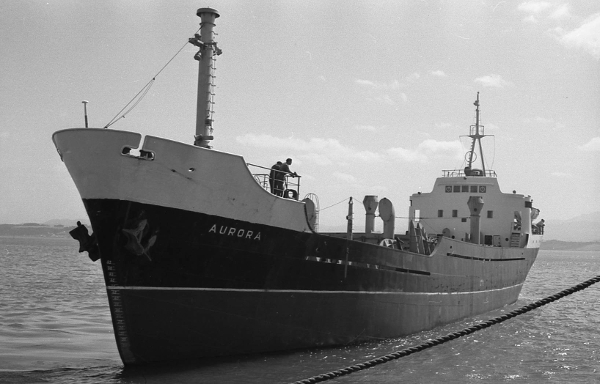 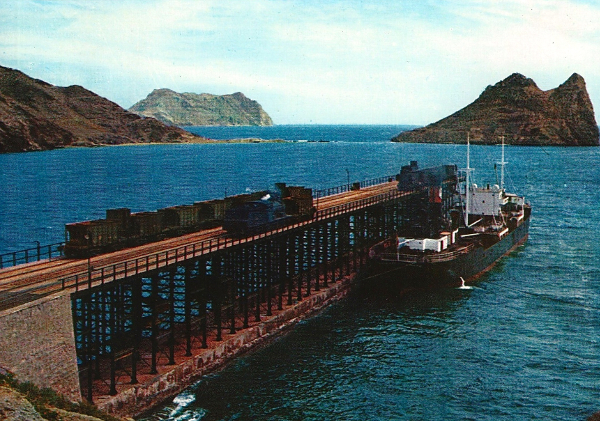 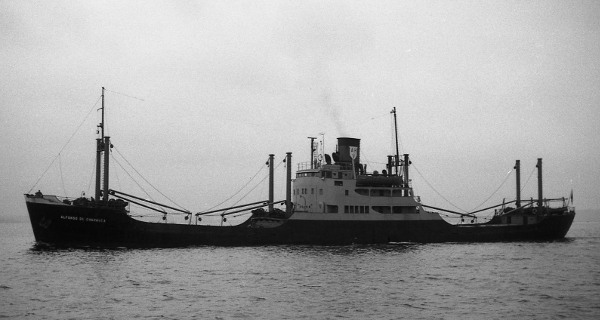 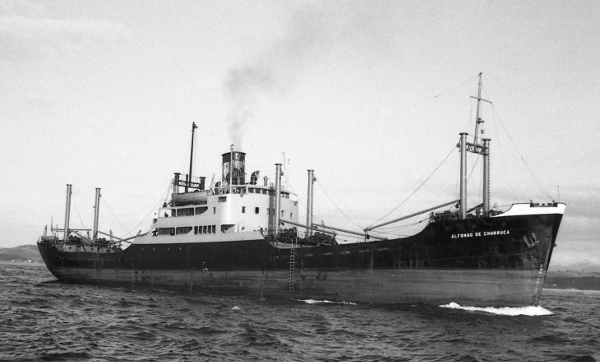 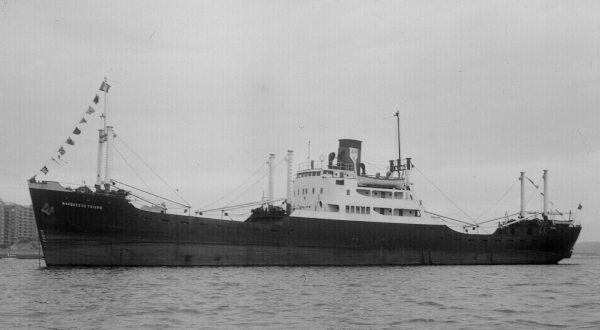 This hopper was in AHV until 1973, when she was sold to Naviera Peninsular and reconverted to coastal ship. 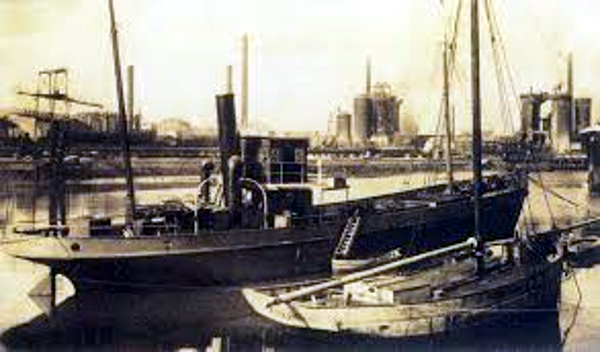 The steam machine was changed to a Caterpillar engine of 1,125 HP and renamed Cheu. 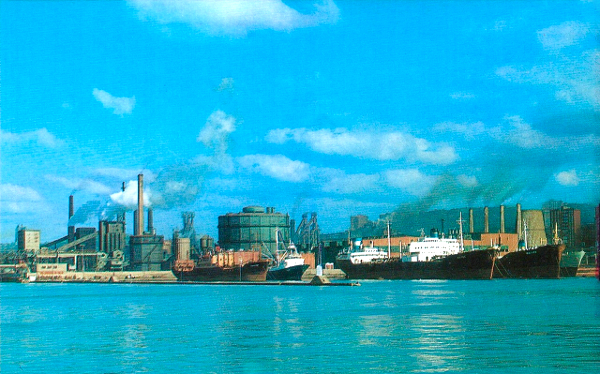 The amazing change can be seen in this photo. 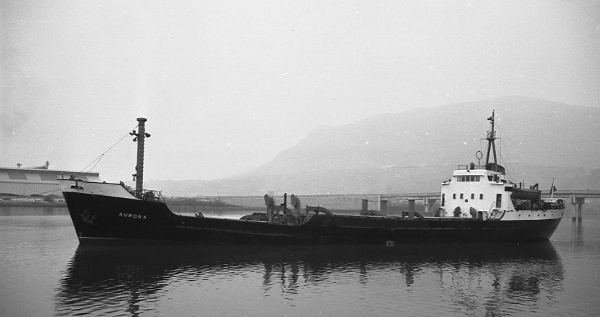 Propulsion Euskalduna-MAN G6V 30/45 m.A.L. 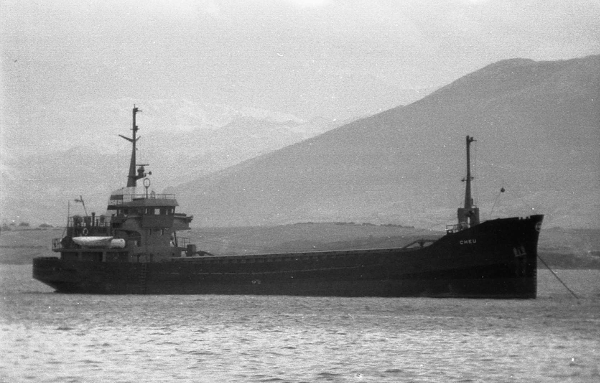 Hornos Vizcaya This vessel was never owned by AHV. 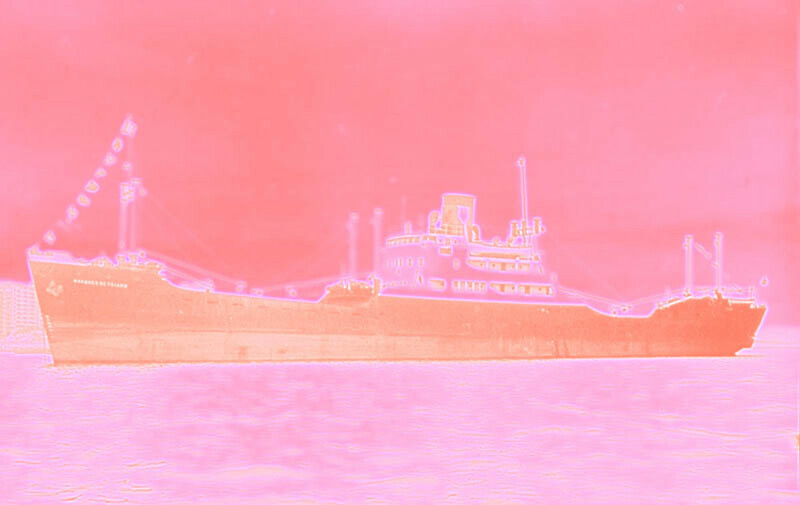 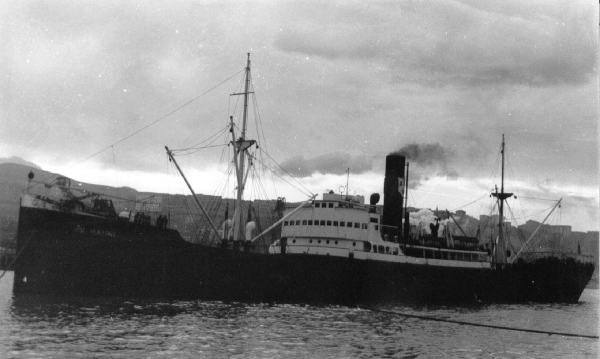 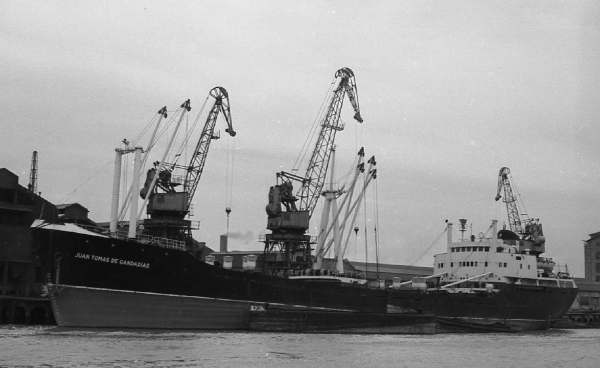 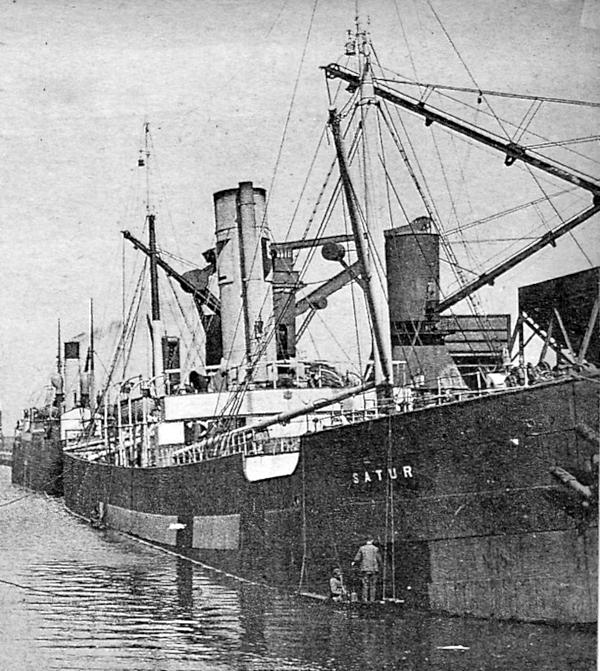 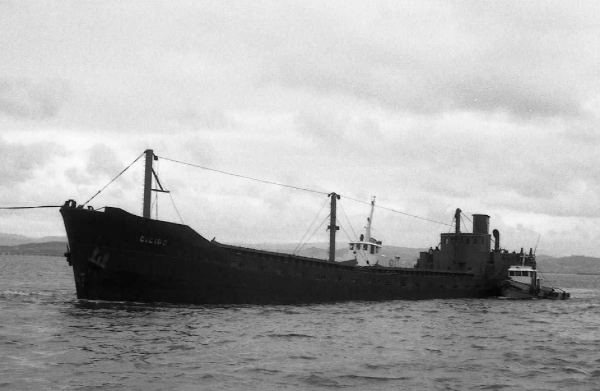 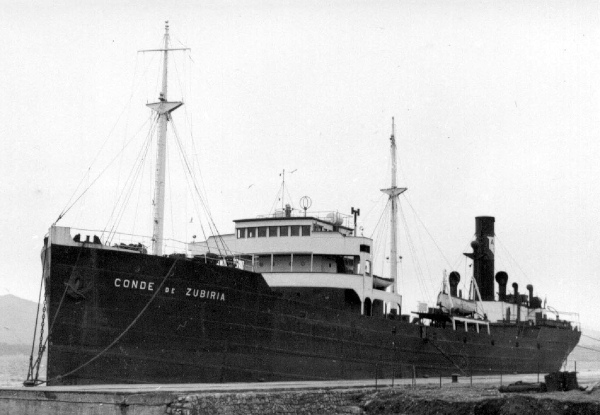 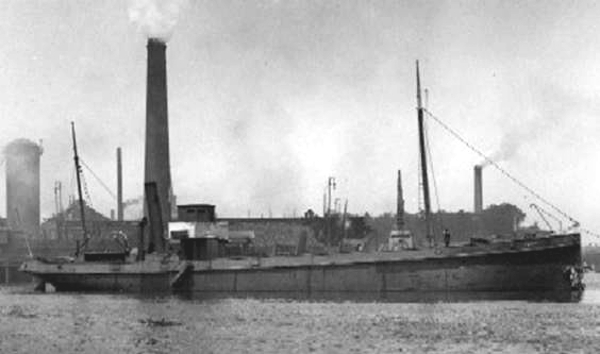 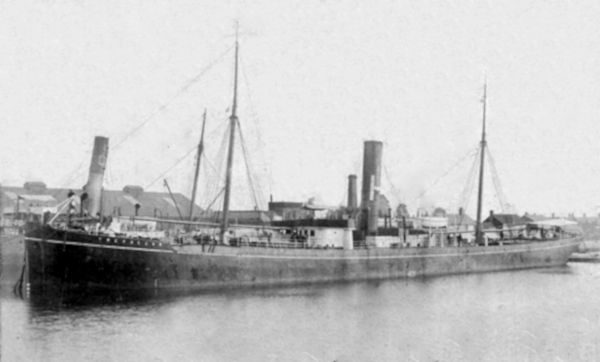 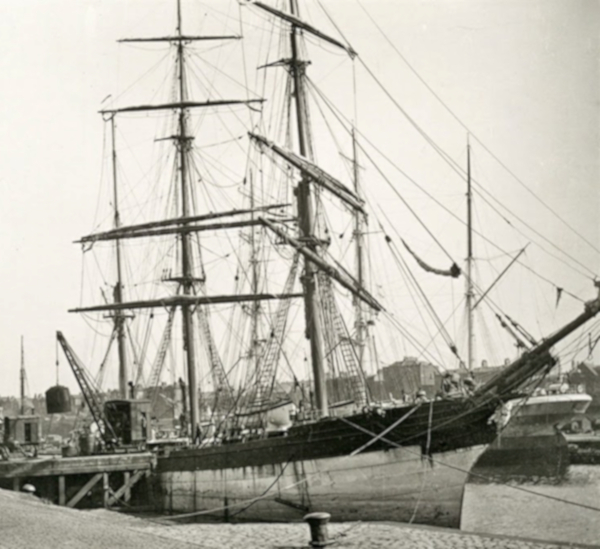 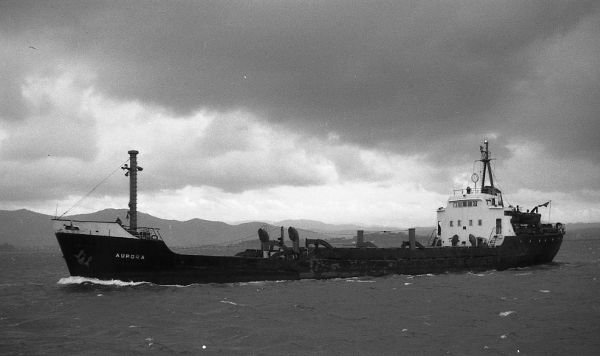 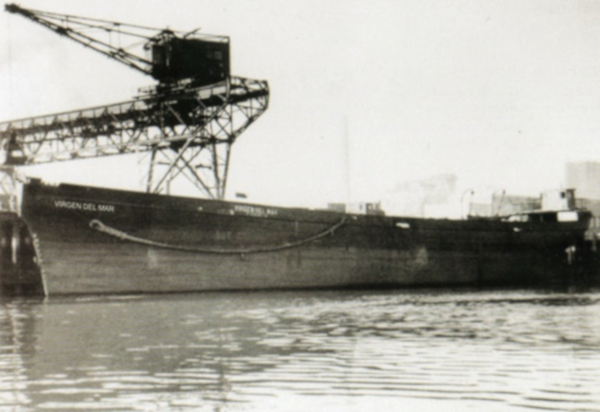 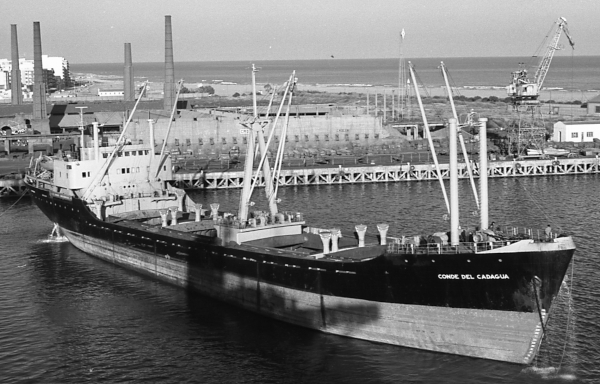 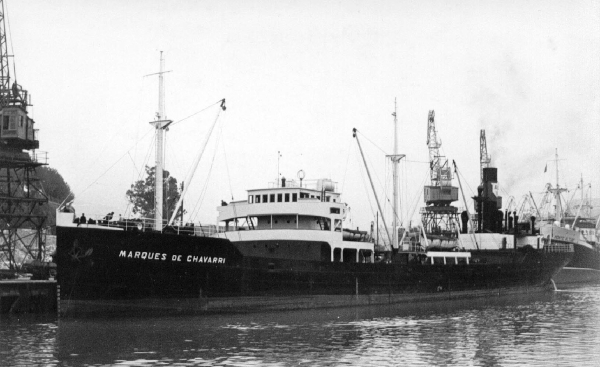 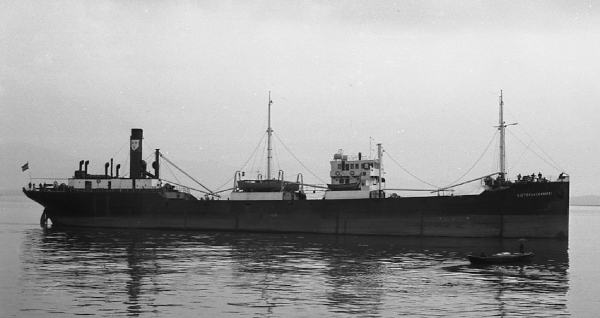 The order was cancelled and the ship was bought by Naviera Sokorri and renamed Sokorri.